Single lever basin mixer can follow your bathroom designs, color can be customized. Basin faucets brass main body construction ensures durability and reliability for the life of the faucet. Durable ceramic mix cartridge, chrome finished. Suitable for under counter wash basin. Single lever basin mixer, polished surfaces and various shapes make the washroom perfect for modern environments. Fields of applications: Home wash basin mixer, Hotels bathroom faucets. Single Hole Basin Mixer, one lever basin mixer. Looking for ideal Chrome Basin Mixer Manufacturer & supplier ? We have a wide selection at great prices to help you get creative. All the Wash Basin Mixer are quality guaranteed. 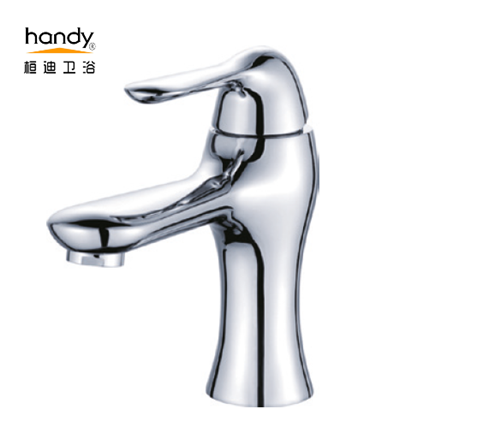 We are China Origin Factory of One Lever Basin Mixer. If you have any question, please feel free to contact us.